Farberware makes quality cutlery at a great price for any budget. This “Poppy Mirror/Pebble” 20-Piece flatware is a solid set with a nice design at a bargain cost. The handles are a mirror finish with pebbled ends. The 20-piece set is made of 18/0 stainless steel. 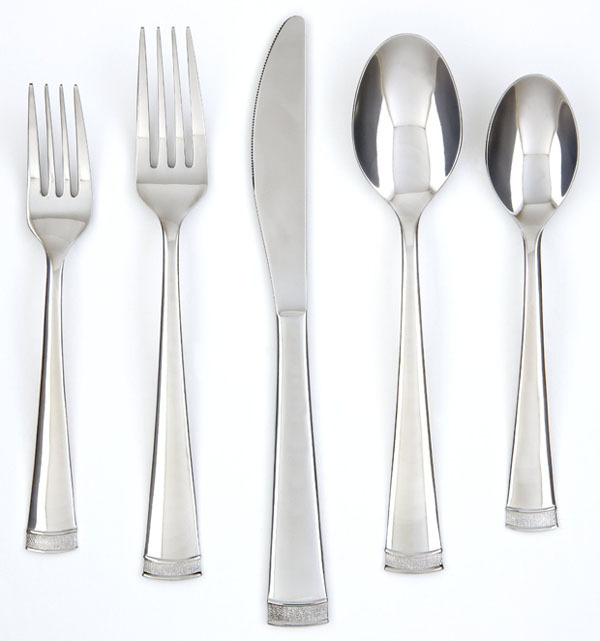 It is a place setting for four people that includes a salad fork, dinner fork, dinner knife, soup spoon and teaspoon. The mirror finish is dishwasher safe and has a 25-year limited warranty.